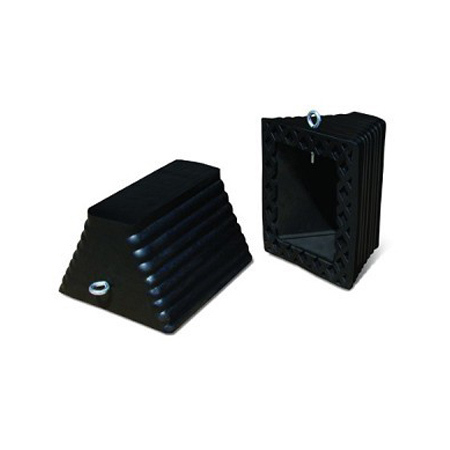 The large 915 Series Rubber Wheel Chocks are made for use with heavy trucks, trailers and road construction equipment. 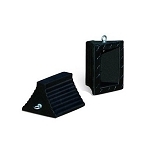 The Ribbed Pyramid Design is designed for contact with tires and the "X" pattern tread on the bottom is for much needed grip. 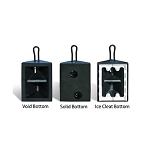 The eye bolt integration enables ropes and chains to be attached. The rubber construction of this product resists damage from UV, moisture, salt, and oils, which adds to the life of the wheel chock. 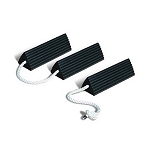 All wheel chocks are sold as a single piece unless otherwise specified. Eyebolt for ropes or chains. Improper use may result in product failure. Select wheel chock according to vehicle type and size. Always use in pairs and on firm surfaces. Chock both sides of wheel if direction of grade is undetermined. Use only after parking brake is applied and tested. Always test chock to insure they meet requirements. Dont drive over wheel chocks.